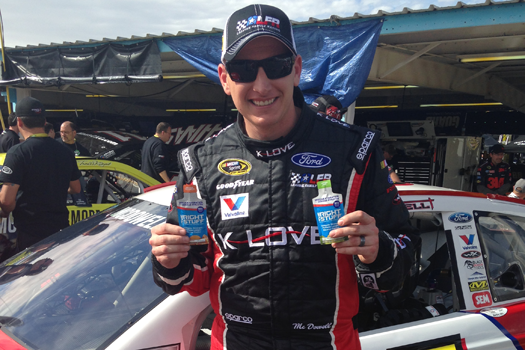 What Can This NASCAR Driver Teach You About Optimal Hydration? After racecar driver Michael McDowell switched to NASCAR from sports cars and Indy cars in 2007, he suffered extreme dehydration on a track in Virginia and went looking for a solution. When driving around the track at over 150 mph, reaction time is critical. Proper hydration is essential to maintain that continuous, nearly instantaneous response timing. He first learned about The Right Stuff® when he was at an event with former NASA Space Shuttle Pilot Bill Gregory who uses it for his endurance training. Bill is an enthusiastic user of The Right Stuff who even joined the Board of Wellness Brands, makers of The Right Stuff. Since McDowell found The Right Stuff three years ago, he has cut his water consumption during races by half, from 64 to 32 ounces. McDowell also turns to The Right Stuff when he’s involved in other sweaty sports, such as when he competes in triathlons. I have had the opportunity to evaluate the free samples, received through Hookit…and was very happy with the results. 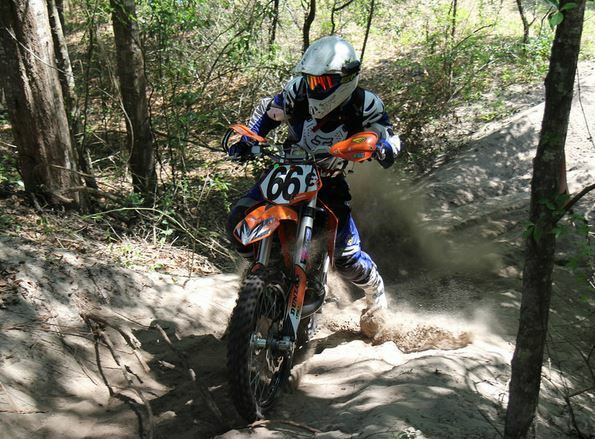 My evaluation consisted of 4 days of 4-6 hours of single track and motocross riding in 94-96 degree heat (Durhamtown, GA), in full motocross racing gear. Needless to say, heavy sweating, dehydration and overheating is the norm. On day one, I drank pure coconut water in my hydration pack and suffered from dehydration towards the end of my ride (primarily fatigue & overheating with minor chills). Over the next 2 days, I mixed two pouches of the citrus blend with 3-4, 16 oz bottles of water in my hydration pack. After the exact same rides in nearly identical conditions, I experienced a significant decrease in symptoms. My endurance was sustainable and core temps seemed manageable.